These farmworker’s cottages are dated 1892; they stand on the corner of Greenways and Beacon Hill. 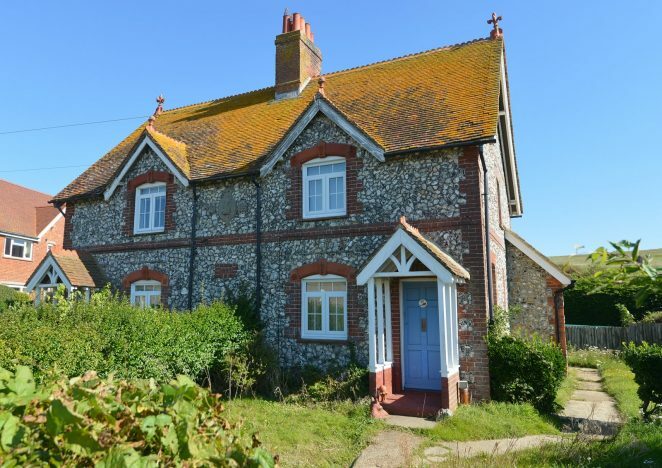 The cottages are flint with brick dressings and tiled roof with single central ridge chimney stack. They are semi-detached and designed as a symmetrical pair. A single window to each floor of each property is surmounted by a small gable. Front entrances are set to the outer bay of each house, with open-sided porch. 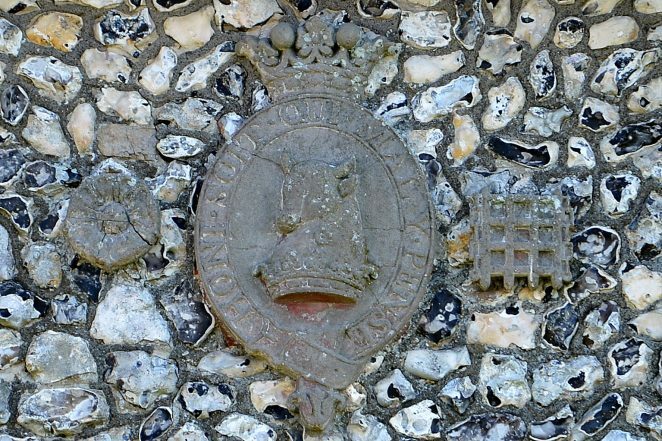 The building incorporates the crest of the Nevill Family, set within the Royal Garter. William Nevill, 1st Marquis of Abergavenny was made a Knight of the Royal Garter in 1886 and served as Lord Lieutenant of Sussex between 1892 and 1905. There is a tudor rose and portcullis set to either side of the crest, and further tudor roses set in the gable of each side elevation. These likely represent Nevill’s 1892 appointment as Lord-Lieutenant of Sussex and, more generally, his associations with the Royal family and Parliament. The building is set back from the road, at the corner with Beacon Hill. The buildings are associated with the Abergavenny farm estate, as illustrated by the Nevill Family crest. The Abergavenney Estate owned much of the land in and around Ovingdean, and had a significant impact on the area’s development. The architectural quality of the building reveals much about the relationship between owners and workers on the estate.